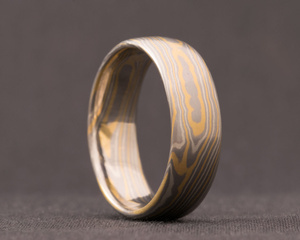 This ring has been made from a combination of Palladium, White Gold and Yellow Gold. It has a warm contrast with rich colours in both the White and Yellow Gold, and the Palladium adds a cooler tone to the whole ring. 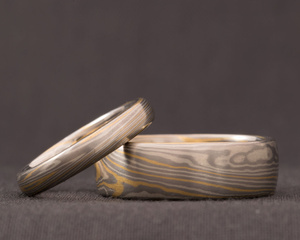 We can design and make a ring in dimensions that suit your hand. 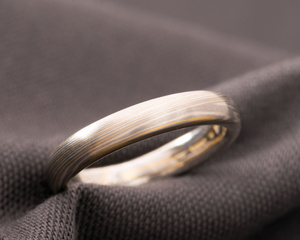 Ladies wedding rings in Palladium, White Gold and Yellow Gold are start from £1,000, Gents wedding rings in Palladium, White Gold and Yellow Gold start from £1,400.